It takes a view from above to appreciate the giant designs the ancient Nazca people carved into the Peruvian desert. This view from the Ikonos satellite reveals a giant spiral, a spider, and perfectly straight lines that stretch for kilometers across the desert. 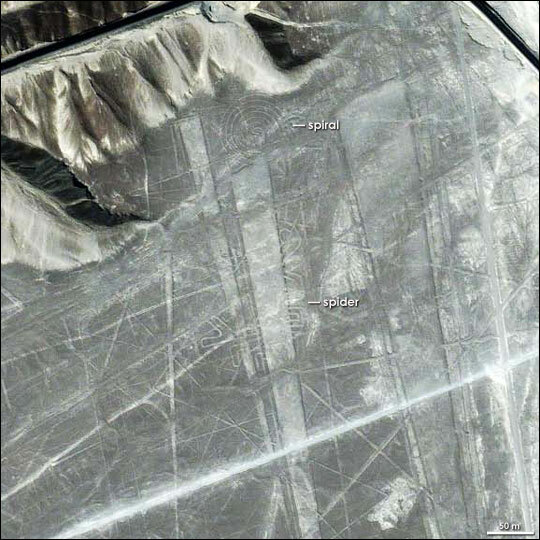 The Nazca created these geoglyphs between 200 BCE and AD 600 by clearing away the dark red top soil and stone, leaving the pale underlying soil exposed. 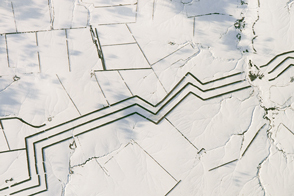 Since the plain where the lines are carved receives little rain or wind, the lines are still visible today. This image, taken on January 15, 2001, shows two glyphs and several lines. Near the top of the image, a spiral is nestled at the foot of the mountains. Below it is a spider, with its pincers facing the left edge of the image. Since the lines are difficult to see from the ground, the artists may never have seen their work from this perspective. 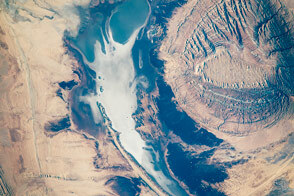 So why did the Nazca go to the trouble of scribbling over the desert? No one knows, but many theories have been proposed. The figures could be depicting constellations or deities with straight lines forming sacred roads between them. They could be marking the location of an underground water source in the high desert where water would have been precious, or they could be figures from an agricultural calendar. 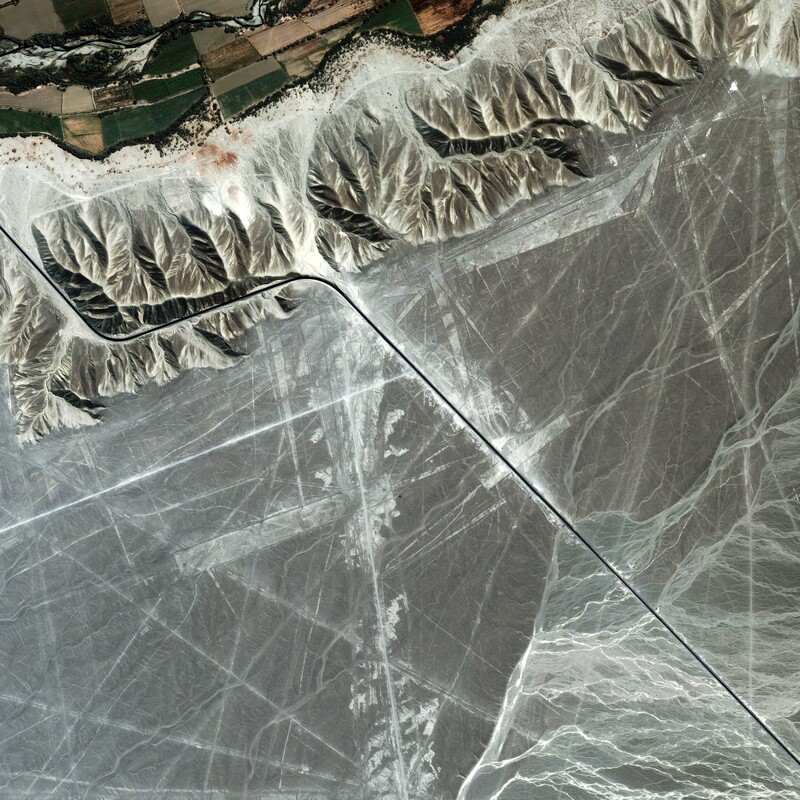 To read more, see Nazca Lines on the Discovery Channel web site.